Let’s start with the bad news about external hard drives. 1. External hard drives weaken your security. It’s easier to steal external hard drives than it is to steal desktop computers or even laptops. Plus, laptops at least have passwords—but few people go through the hassle of encrypting their external hard drives. 2. External hard drives will eventually fail. Do you plan to use your external hard drive to store all of your data so you can access it at home, work, and school? That’s a problem—external hard drives all eventually fail and few of them are adequately backed up. However there are solutions like a data recovery cable which can restore data from a failed hard drive. Manufacturers of external hard drives measure drive lifetime using something called Mean Time Between Failures (MTBF). A MTBF of three years means that your hard drive should work for three years—but that lifetime can be significantly shorter if you drop your hard drive or it gets wet when you get stuck in the rain. Still, if you plan to make good—and frequent—backups of your external hard drives, you can cross this con off of your list. 3. External hard drives often require an extra plug to connect to an electrical socket. That’s probably not a big deal at home—although it can be annoying. But have you ever been to a class or a conference where everyone is fighting over too few power sockets? If you come to depend on external hard drives, your computer could be useless without that extra plug. 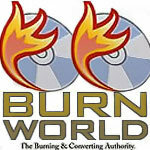 BurnWorld.com burnworld, external hard drives. permalink.